Chandler-Gilbert Community College (CGCC) has been selected as a finalist for the 2016 Second Nature Climate Leadership Awards for its leadership in sustainability efforts. The Second Nature Climate Leadership Awards recognize innovative and advanced leadership in sustainability, climate mitigation and resilience at academic institutions committed to shaping a more sustainable society. 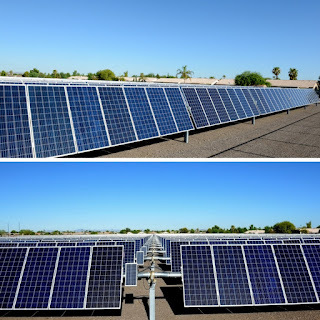 Chandler-Gilbert Community College is a leader in several areas of sustainability including: energy efficiency, recycling, water conservation and sustainable design. Residing in the desert, water usage is a key issue for CGCC. In order to begin addressing consumption, CGCC converted the landscape watering system from potable water to reclaimed sources that were made available by the City of Chandler. The central plant (air conditioning) chillers, the largest single use of water on campus, was converted to reclaimed sources in 2016. Over the last four years, the college has replaced aging roofs with better insulated options, has adopted an energy efficient equipment policy, and – most notably – has retrofitted roughly 80 percent of the overhead and external light fixtures on campus with LEDs. The complete renovation of Agave Hall last year marks the first completely LED-lit building in the system. Beyond demand reduction, CGCC has been developing resilient options for energy generation. 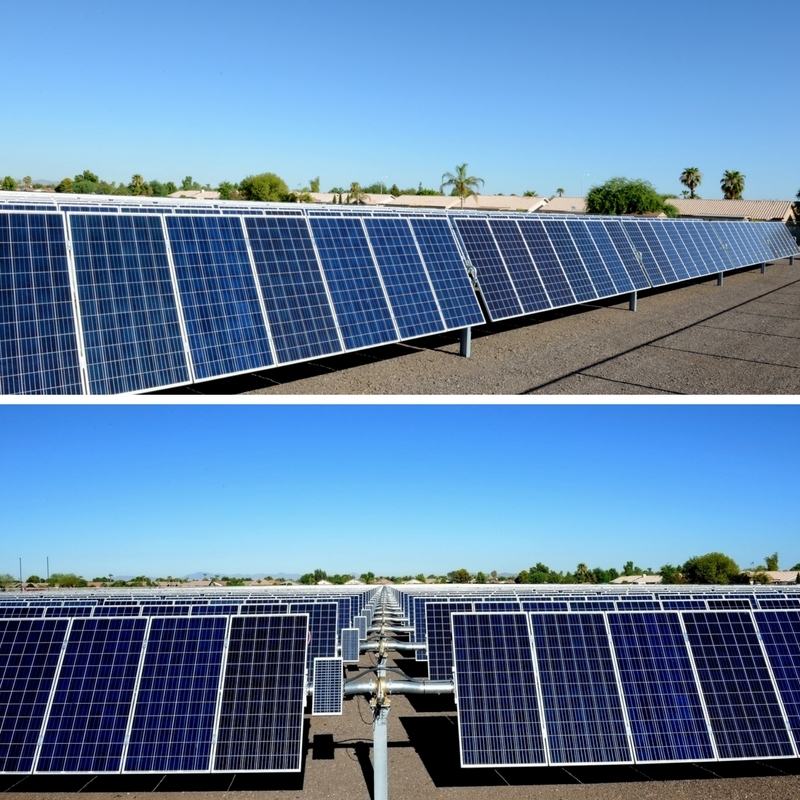 In 2012, CGCC partnered with Salt River Project to build the Environmental Technology Center, CGCC’s solar-powered outdoor classroom in the environmental learning lab. The Coyote Center, includes a solar-powered water heating system and most recently a fully operating 1.38 Mega Watt photovoltaic solar array on campus. The installation completed earlier this summer supplies 37 percent of the Pecos campus’s energy usage. Additional award finalists include: Cedar Valley College in Dallas, TX; Johnson County Community in Overland Park, KS; College, Lane Community College in Eugene, Oregon; Milwaukee Area Technical College in Milwaukee, Wisconsin; and Santa Fe Community College in Santa Fe, NM. Second Nature in partnership with the U.S. Green Building Council’s (USGBC) Center for Green Schools will announce the winners this October in Los Angeles, California, as part of the Greenbuild Leadership Awards Program, benefiting from global publicity opportunities. Visit http://secondnature.org/our-impact/climate-leadership-awards/ for more information about the awards program.